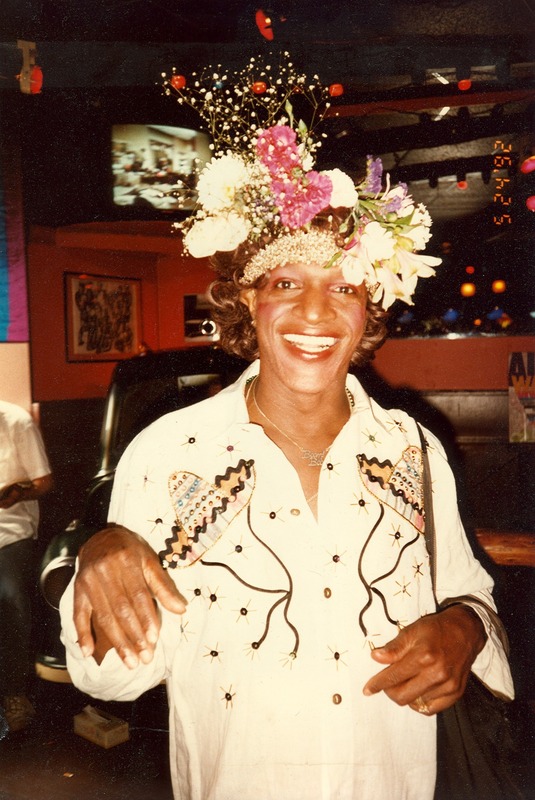 You are here: Home › News › News › Reina Gossett – Reflections on Marsha P. Johnson’s Birthday ! Reina Gossett – Reflections on Marsha P. Johnson’s Birthday ! Happy Birthday Marsha “Pay It No Mind” Johnson! A few months ago I took the PATH train to Hoboken with my artistic collaborator Sasha Wortzel to interview Randy Wicker for a film we are making about Sylvia Rivera. Randy is one of the few surviving members of Mattachine Society, an early queer radical organizing group in the US. Randy’s apartment is an archival space containing vital history, some shared visually through the photographs on Randy’s refrigerator door, other pieces held in the clothes adorning the wall, but most of it Randy passes to you through stories. Randy befriended both Marsha P Johnson and Sylvia Rivera and having lived with both them for a total of 14 years Randy has a wealth of stories to share. Click here to read more of Reina’s article on the Crunk Feminist Collective website! Join SRLP at the 9th Annual Trans Day of Action!